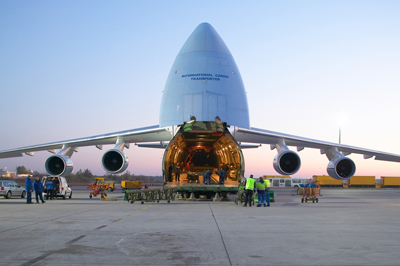 Since 1992, Gelders Express has been operating successfully in the international transport market. Throughout the years, Gelders Express has managed to maintain its original values, and still provides every client with tailor-made services and personal attention. Gelders Express has proven to be a reliable partner for its clients, service providers, and employees, and has established long term relationships with all parties concerned. Gelders Express is an entirely independent and owners-operated company. Our business is quality customer service, of course enabled by our employees. Our unique company culture focuses on exceeding our customer’s expectations and providing our employees with a great place to develop and improve themselves. Therefore, we only recruit high quality personnel. We hire individuals with great attitude who fit in with our culture and share our values, and we help them becoming specialists in their own fields. As a result, Gelders Express has managed to create a firm team of specialists dedicated to serve. Gelders Express offers its clients a clear solution in terms of constructing, planning, managing and operating the supply of goods. The fundamental idea is to develop and to maintain a joint composition with our client by means of a personal approach and tailor-made services, both in national and international transport. Provide a great working environment and treat each other with respect and dignity. Focus on making the customer happy. Contribute to our environment in a positive way. Recognise that profitability is essential to our future success. Continuously aiming for an optimum service to our clients. Continuously aiming for maintenance and improvement of the quality of our services. Good prices attract customers. Good quality attracts returning customers.